Mixer A and B can be configured as either two independent 4-channel mixers or as a single 8-channel mixer. If the output of Mixer A is not in use, then Mixer A will be routed internally to Mixer B forming the 8-channel mixer. 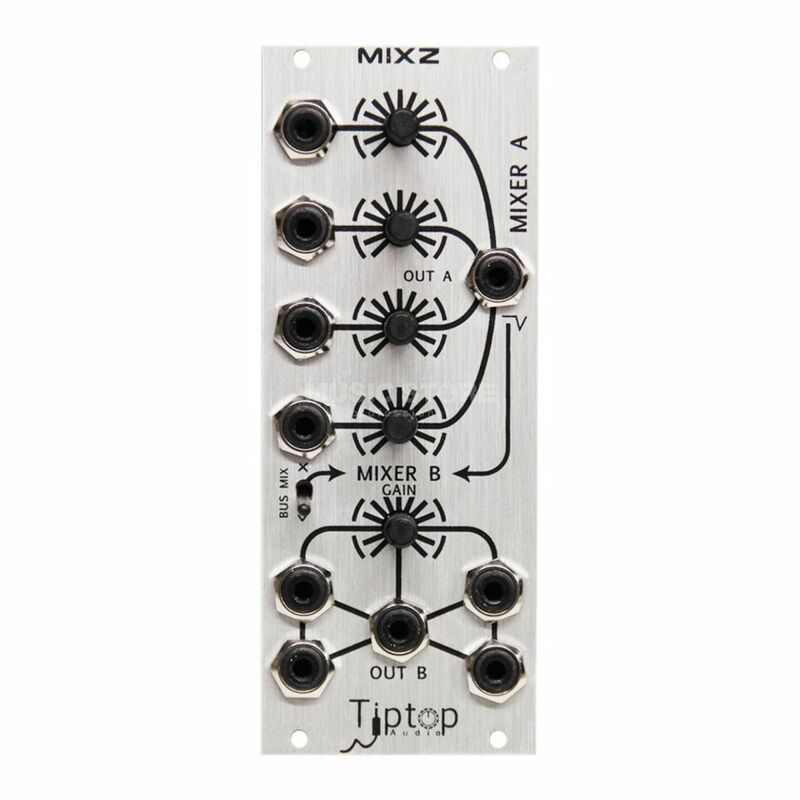 Tiptop Bus Mix is a new method developed by Tiptop Audio to mix audio signals through the Eurorack power bus board without patch cables. Although this technique is not ideal for a low-noise mix, we found it to be useful for some applications including mixing our drum modules, which all have a Bus Mix enabled output. The result is that your drum modules are always available and mixed on the master out of the MIXZ with a flip of a switch. This will save you time and frees up cables for rematching sounds again and again, while keeping the channels of the MIXZ free to bring other signals into the mix. Combining the Bus Mix with Mixer A and B, the MIXZ can sum dozens of channels in only 10 HP. Great as expected. Quality build. Happy!! !